As you know, I work on several design teams. I LOVE doing that, but it means that I create LOTS of projects and sometimes they don't end up landing on this blog. So...today, I decided to share a few projects that I have created and have been posted on other blogs, along with the links to those post. I hope you enjoy them! 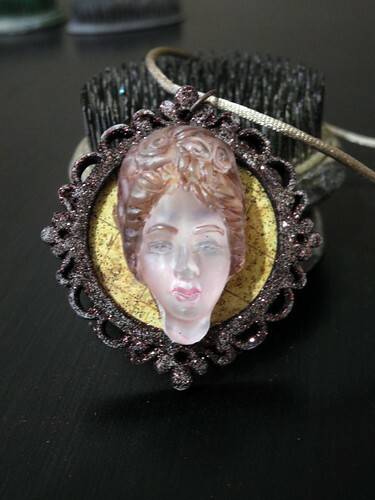 This is a pendant I created with an amazing frame from Retro Cafe Art and the ever fabulous Amazing Clear Cast. It was featured on the Amazing Mold Putty blog with a tutorial on how to create it! This was a fun one, for sure! This clean and simple card was made for Stampendous! and just featured yesterday! I LOVE this card! I utilized some of those little stamps that we often forget to use in those big fun sets we bought for the focal images. Check it out over on the Stampendous! blog! This is a set of bookmarks I created for the May Arts blog during Hero Arts week! 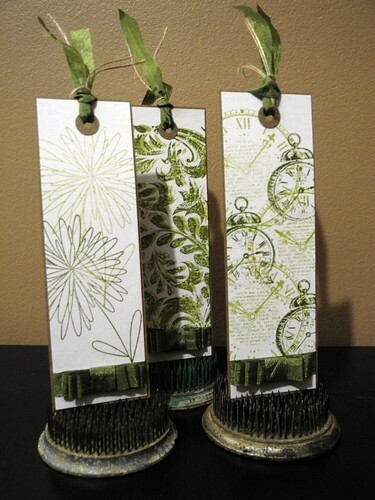 I loved using the two green tones (thank you Tim Holtz distress inks!) in overlapping images to create some depth without any bulk! I created a pretty little wrapper to bind the three together as a set, too! This piece is a very meaningful piece that I created for the Creative Paperclay ® blog. It speaks to the mis treatment of women that continues to occur all over the world. It is a strong piece. It is real. And you know what? I think it's important, too. I really and truly do. Art is an expression and this piece came from my thoughts on the day it was created. I actually really love this piece and I'm proud to have created it. Thanks for taking the time to check out these 'outside the blog' creations of mine. I hope you will visit the links and see the full posts for each of them if you have the time to do so. I'd love to hear what your favorite is! Happy Thursday, folks! wow Jennifer, your assemblage stunned me. Really spoke volumes, and created an immediate reaction inside me. You should be doing more of this when you have the time, as I understand how getting your actual art on the blog goes by the wayside at times when blogging with other purposes. Really well done. Cheers!! loved all your posts today~the clean and simple card lok so cute!!! Great blog post Jingle!!! Great projects! Love that last piece! 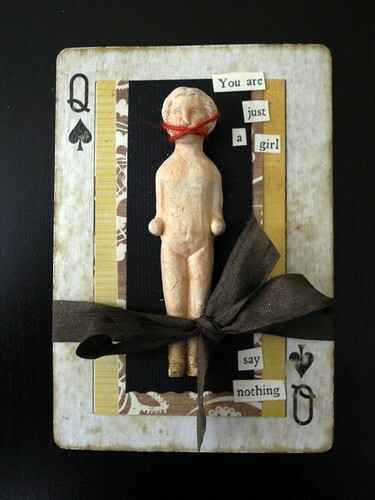 Wow I am loving all the projects but I think my favorite is your "say nothing"... Love it... Hugs and thanks for sharing. I DID enjoy these, all of them! PS That really is a strong piece, a little disturbing because it's so evocative--but that's what art can do, and you did it well. Each of these projects is special in its own way - and I do really love the look of the bookmarks - but the final piece, you are just a girl, takes my breath away. I actually gasped to see her mouth covered, and to read the text. Thank you for sharing something so striking & thought-provoking along with the things that are nice to look at! wow,gorgeous projects, my favourite is definitely the bookmarks, love the stamps and that green! i don't know how you get time to sleep...you are always producing! 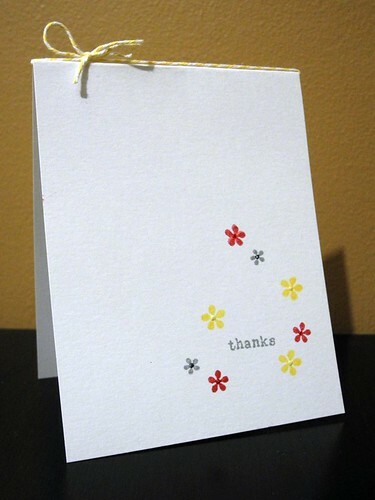 Love the simplicity of the thank you card and the bookmarks are great! Lovely projects. Love the images on the bookmarks, so I guess that would be my fav! The gag is very effective!!! Such powerful pieces today!Love them all! Oh, Jen! I love ALL of your wonderful cards and other pieces, but the "You are a girl. Say nothing." tore my heart out. Truly. I have friends from several countries in Africa where this statement is complete reality. And I know Africa is, by no means, the ONLY place it applies. You are AMAZING! Beautiful work - the charlotte really moved me, especially with your elimination of her mouth. I also found the bookmarks to be a lovely collection. TFS these projects! Great projects here. And I agree, it IS a strong piece.